ROCHESTER, N.Y., July 20, 2018	(Newswire.com) - As co-owner of Rochester-based restaurant KHONG, Adam Civalier's knowledge of Thai cuisine is, arguably, almost second to none. Here, he reveals three of his all-time favorite dishes and talks more about his passion for Thai food and the principles behind the restaurant. "I love an entree," he begins. "Pad Peow Wan is a favorite of mine. It's a sweet and sour dish with stir-fried pineapple, celery, bell peppers, zucchini, carrots, green and white onions, tomatoes and cucumber." Adam Civalier continues, "It's a best seller at the restaurant, too, alongside other entrees such as Pad Puk Kha-Na, or oriental broccoli, and our stir-fried eggplant in a spicy basil sauce." Second on the list for Adam Civalier is Gang Keow Wan, a sweet and spicy green curry. "It's the archetypal Thai green curry and this sweet, spicy dish delivers huge flavor and aroma with lime leaves, basil, bamboo shoots, eggplant, bell peppers, string beans and zucchini." Adam Civalier says it's a close tie between Gang Keow Wan and Gang Panang, a creamy coconut dish with added spicy curry paste and sliced lime leaves, for his favorite Thai curry. "Gang Keow Wan just edges it for me, I think," he adds, after some careful consideration. So, what's Adam Civalier's first choice? "It has got to be Pad Thai, arguably the most famous Thai noodle dish," he suggests. Stir-fried with ground peanuts, egg, bean sprouts and fresh scallions, Pad Thai is traditionally served in a tamarind sauce. "This is another best seller at KHONG and deservedly so," the restaurateur confirms. The restaurant's appetizers, soups and salads also get rave reviews from Adam Civalier. "I love everything we serve, but I'm especially partial to our pork dumplings, grilled beef salad and our shrimp dumpling soup." "I'd encourage anyone to check those out," he adds. Of his and the rest of the team's view for KHONG, Adam Civalier explains, "The primary objective in the creation of the restaurant was to provide a casual dining environment which is fast and efficient, while still capable of delivering the high-quality Thai cuisine we all know and love. "I think," he adds, wrapping up, "the neighborhood and customer base has embraced our vision, and I couldn't be happier or more proud." 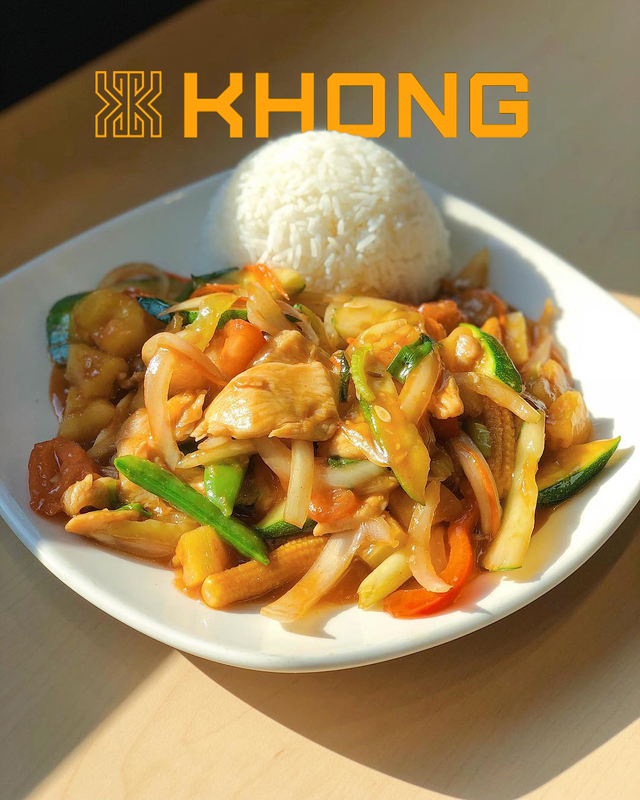 KHONG is open six days a week — closed on Tuesdays — from 11 a.m. to 9 p.m. and can be found at 260 Winton Road North, Rochester, New York 14610. To find out more, please visit http://khongthaicuisine.com/.